Mora is a family-run Italian restaurant based in Leytonstone, East London, specialising in Sardinian cuisine. Owned by husband and wife team Carlo and Silvia, it commands five-star ratings across the board and is a healthy competitor to the self-consciously ‘trendier’ likes of Trullo and Polpo. We couldn’t wait to swing by to try it for ourselves. I have fond memories of Sardinia. This is mainly due to a beefy sailing instructor called Enrico who stole my heart during a family catamaran holiday in the 1990s. Through him, I was introduced to the many delights the island had to offer – including its outstanding cuisine. While Enrico and I sadly weren’t to be (others also had intimate knowledge of his catamaran, it transpired), my love affair with Sardinian food has endured. For me, this rich Mediterranean diet is among the best in the world. While unmistakably Italian, it contains strong traces of the many invaders who left their mark over the years, from the Carthaginians and Romans to the Arabs and Spanish. Is it possible to imagine a tastier melting pot of culinary influence? Hence my excitement at visiting Mora. A cosy, understated Italian restaurant in Leytonstone, specialising in Sardinian cuisine, it effortlessly walks the line between classy haute cuisine and comforting home cooking. 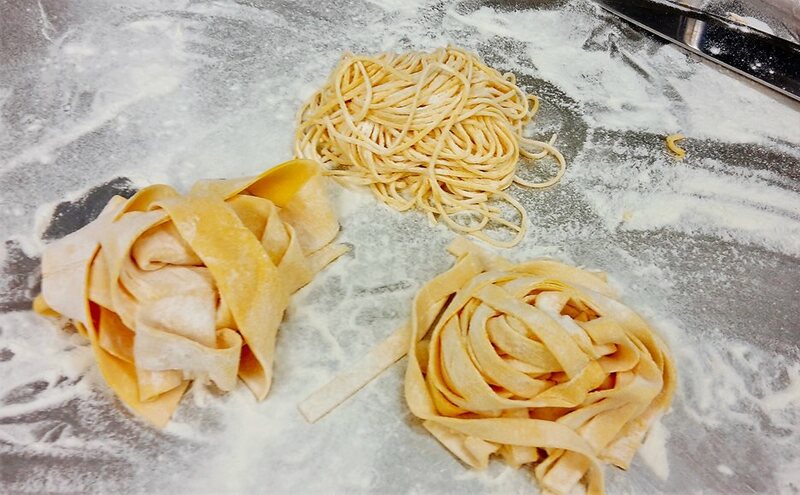 Its fresh pasta is made painstakingly each morning (with gluten-free and vegan options available), and its seasonal produce sourced where possible from small artisan suppliers. Despite the challenging beginning, Mora has gone from strength to strength. Boasting five-star reviews from Time Out, TripAdvisor, Google and the Evening Standard, its record speaks for itself. Its appeal seems to lie in its simplicity and authenticity, with no hint of pretension. Mora’s ‘Grand Tour’ promotion, which focused on a new local cuisine each fortnight, also proved highly popular. Favourites included Campania, with its mouth-watering mozzarella in carrozza (a kind of elegant fried cheese sandwich), and Puglia, with its decadently creamy burrata and truffle– a speciality here, sourced mainly from Umbria – on sourdough bread. DO: eat the traditional Italian way, including a portion of fresh pasta between your antipasti and main (it would be rude not to). DON’T: go during a foolhardy ‘dry January’ (as I did), meaning you can’t sample the excellent selection of organic Italian wines. Enjoy 10% off your lunch bill on a Saturday between 12-4pm with you Portico Places card.